Get Prepared For St. Patrick’s Day! Never iron a four-leaf clover, because you don’t want to press your luck! St. Patrick’s Day is in the air around the Photo Booth of the Stars. 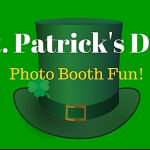 In fact, we are almost positive a Leprechaun snuck in and left behind some lucky photo booth props – we are not complaining! We thought it would be fun to join in the celebration and share some really neat ideas that we found on the web that will have you feeling “green” for the festivities. These ideas were each hand-picked by our Photo Booth of the Stars Staff and we think you will enjoy them! 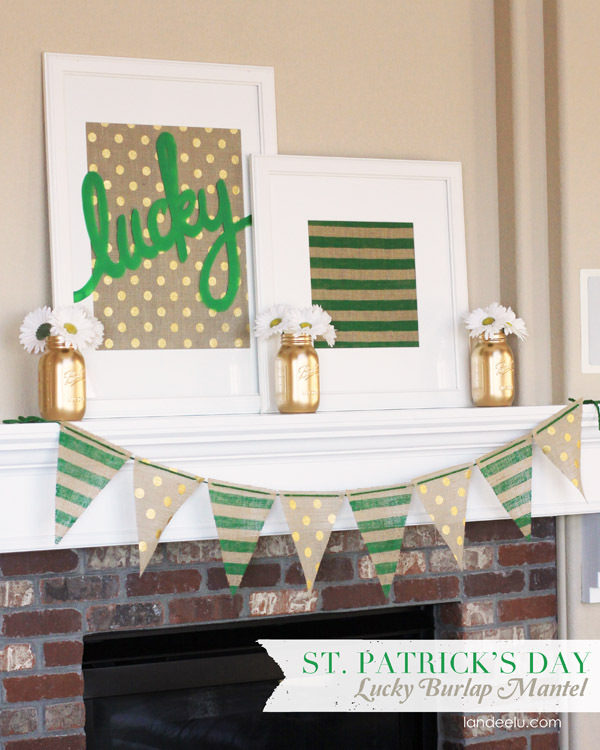 This Burlap Mantel Décor from Landee See Landee Do is the perfect décor for St. Patty’s Day! We were drawn to the greens and the gold that really seem to pop. Because it is minimal décor, it is just enough and doesn’t feel overdone. It really gives off a fun, positive, vibe. You should definitely check out how she did it HERE. Of course, Photo Booth of the Stars just loves a good printable and every event should include some of them! 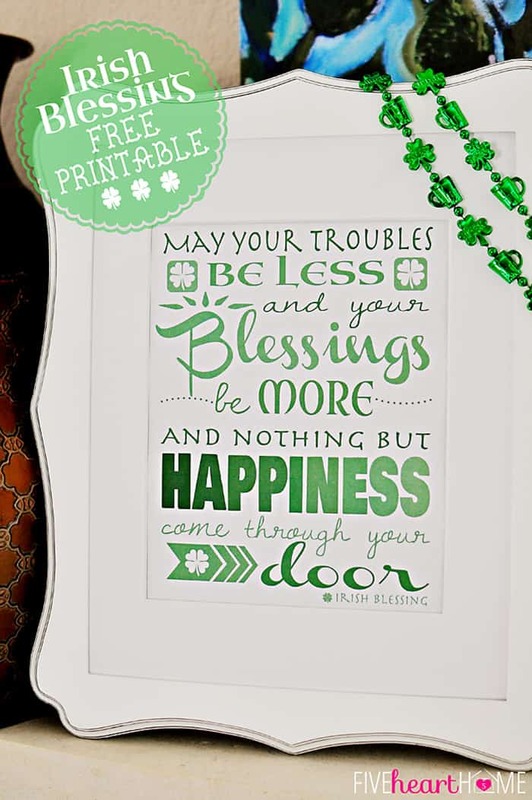 We love this Irish Blessings Printable we found from Five Heart Home. 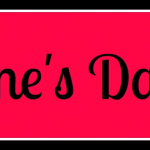 Head on over and grab your own cheerful little printable HERE. In need of some festive party or wedding favors? These adorably dressed chocolate kisses are great! We think that they would be widely appreciated as classroom favors as well. The kids are going to love getting these lucky little kisses! We found the cute picture of the favors over on The Busy Budgeting Mama, who had originally came across this idea from It Is What It Is – Pictures, Projects, and Printables. Great work ladies! 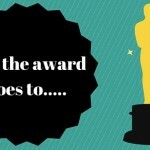 We are glad we came across this! You can head over by clicking HERE to get your own free little printables so you can whip up some of these little favor bags yourself. We found it over on Learning Station Music. They have put together a fun little chart so you can figure out your Leprechaun Name from the first letter of your name, and the month you were born. Head over and try it out HERE, but be forewarned by your trusty friend at Photo Booth of the Stars, you might get addicted. We sure did! Chocolate Covered Oreos are a delicious and easy treat to make that everyone loves! They are a hit at every party and always the first to go! If you haven’t tried your hand at these sweet little treats, you can find a complete tutorial (with pictures and a printable!!!) over at See Vanessa Craft. She makes it look very unintimidating! Check it out HERE and be sure to send some our way after you make them. We hope this inspires you helps you prepare for whatever it is you are planning for St. Patty’s Day. Stay tuned for green photo booth props, backdrops, and more fun coming your way!! !